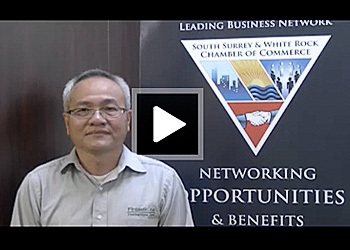 Proud to be a member of South Surrey & White Rock Chamber of Commerce | Fintastic Services – Friendly and professional carpet cleaning, floor care, leather and upholstery restoration services. Serving Lower Mainland, BC, Canada. Watch our short video introduction, taken at the SSWR Chamber of Commerce. This video has since been removed from the server.